This is one of the first cars that I had new that went straight into the case. This was a turning point for me in collecting, I went from playing with them on my cedarchest to keeping them in cases and collecting them. That's one of the reasons this is a very early 90's example that is quite pristine. I received it as a birthday present when I was about 7 or so (as this was part of the 1993 mainline), and I kept it on the card for a few years. Once I started casing all my cars I opened it and in it went. 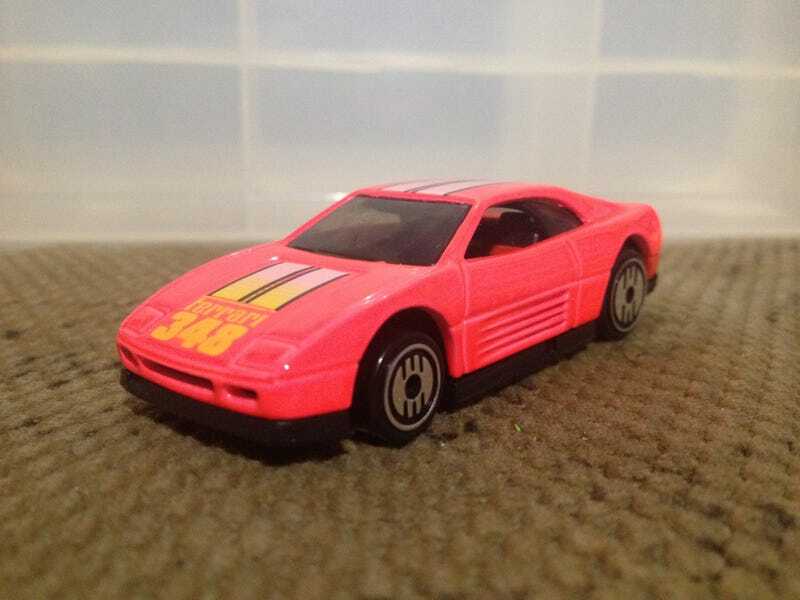 As such though, it remains one of my best early Hot Wheels examples. ...As this 1996 mainline example demonstrates. It was the end of an era, one that would go down in my heart as the some of the most interesting, fun and (nowadays) rare Hot Wheels produced. I'm so fond of this era because I grew up during, and my first memories are with cars of this vintage. Lots of fun, Happy Ferrari Friday!